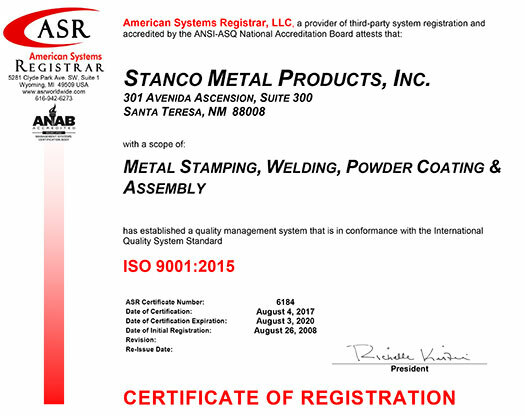 Stanco’s first priority has, historically, been a commitment to quality. The company achieved its first Quality Certification, Ford Motor Company’s Q1 rating in 1988. They have implemented the tasks necessary to become ISO 9001:2008 and ISO/TS 16949:2009 certified. Stanco believes that quality starts with the people – hiring the best people and continuously training them thoroughly. The people of Stanco function as a team, and this really makes a difference in the success of the company. Dealing fairly, honestly, and consistently with people is key to the trusting atmosphere in which Stanco operates. Periodic meetings are held between key management personnel and department representatives to identify and address questions and concerns. Trained operators perform continuous in-process inspections to ensure consistent quality. In addition, quality requires investments in facilities and technology to effectively support the people’s activities. A second key value is integrity. It is important that the highest ethical standards are adhered to, the privacy of customers be protected, and that fair, honest, and trusting relationships are established with customers. 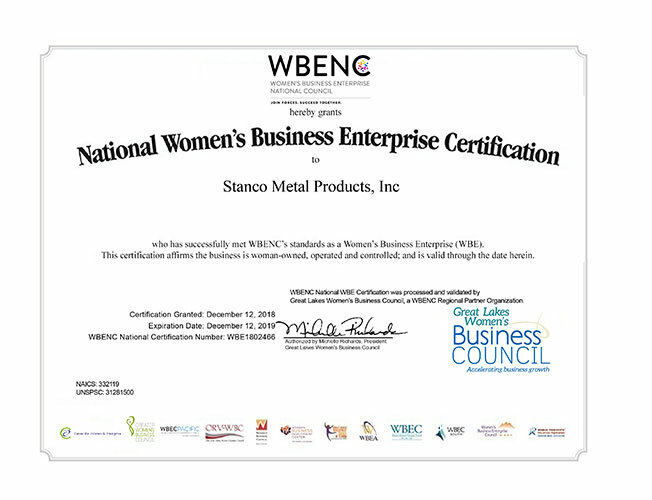 An innovative, family-owned provider of metal fabrication services since 1917, Stanco started with non-automotive wire products and grew into a complete provider of metal fabrication services. 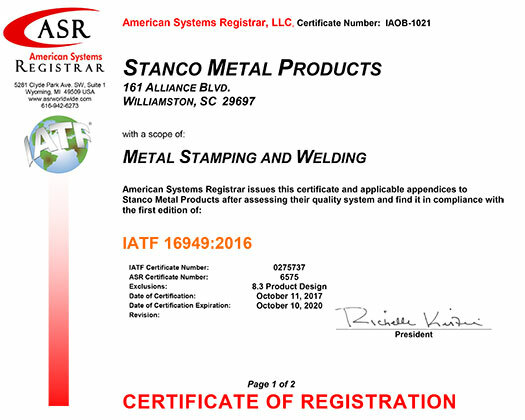 Stanco now functions as a true single-source supplier providing a full range of metal fabrication and support services including stamping, forming, welding, drilling, riveting, assembly, powder coating, and packaging. 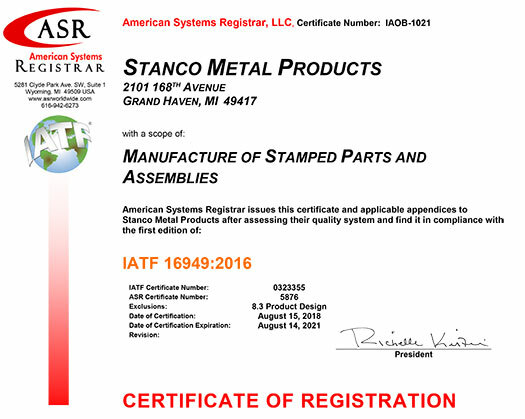 Metals stamped include: stainless steel, galvanized, mild and high strength carbon steels, aluminum, and pre-paint. The steady growth has been due to an unswerving commitment to quality and the willingness to invest in technology. To assist in ensuring quality, the company utilizes Statistical Process Control (SPC) procedures to guide the manufacturing process and has Layout and Quality Control Departments to rigorously test parts. The Quality Control Department documents inspections through every phase of production. In addition, packaging and bar coding services are performed to industry standards. Currently, business operations are divided into these areas: automotive, housewares, technology, electronics, solar, recreational vehicles, and major appliances, but Stanco is constantly looking to branch out into other industries.